Coal mines in Iowa? Yes, indeed! The High Trestle Trail Bridge is located in the area where several mine shafts had been worked by Italian immigrants in the late 1880s and continuing to the 1920s. In fact, 15 different coal mines are listed on the Madrid, Iowa, site. Coal mining itself occurred from Webster and Boone counties south and southeast as far as the Missouri border, with the most mining seeming to occur in Polk, Marion, Mahaska, Monroe and Wapello counties. Many of these small mining towns, once bustling with people, no longer exist. Railroads often owned the coal mines and the coal-mining towns, rented houses to miners, expected miners to shop exclusively in the company’s general store, and sometimes operated the company school. 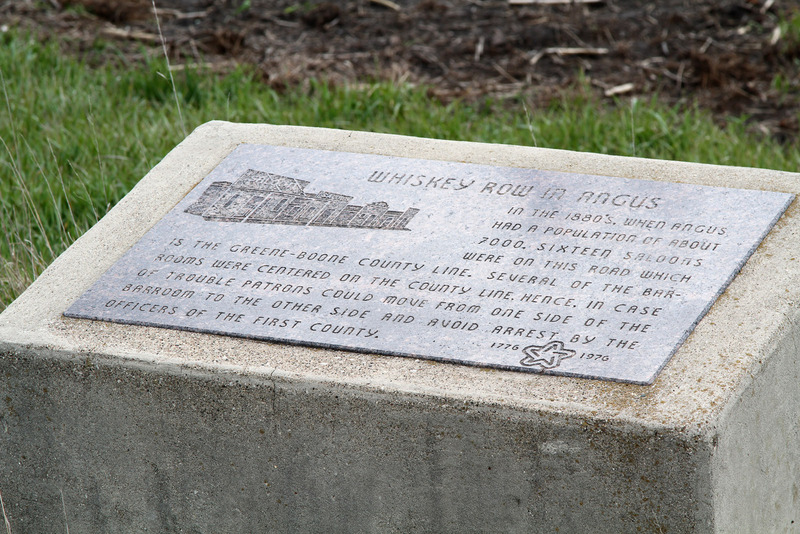 Because wood was not available, Iowa’s early settlers used coal for cooking food and heating. Coal mining began in Iowa in the 1840s with small mines on the sides of hills where coal was exposed. In the 1860s and 1870s, railroads spread throughout the state. They leased land and operated mines that produced coal for their own use, including fueling their trains. Over time, more than 5,500 underground mines existed in Iowa. Although a few were large, most were small, local operations. In 1896 there were more than 20 coal mines in Boone County. The Boone County town of Angus no longer exists, but in the 1880s, it supposedly had a population of 3,500 and was the largest coal-mining town in the state. By the 1920s, coal mining had all but disappeared from the state. By that time many Iowa mines had exhausted their coal supply. Railroads began buying coal from other states. Iowans sought cleaner-burning coal from other states and converted to other sources of fuel: electricity, natural gas and oil. 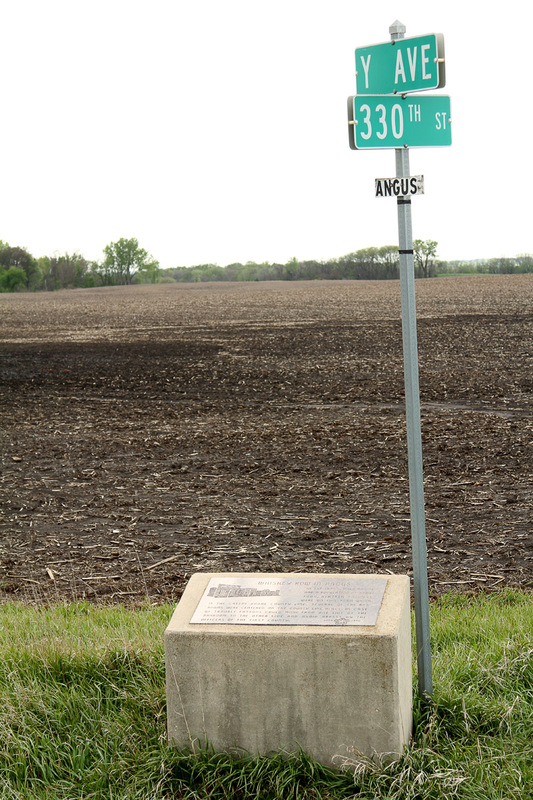 Notice the “Angus” sign on this rural street sign pole. Click on any of these three images to go to slideshow view. 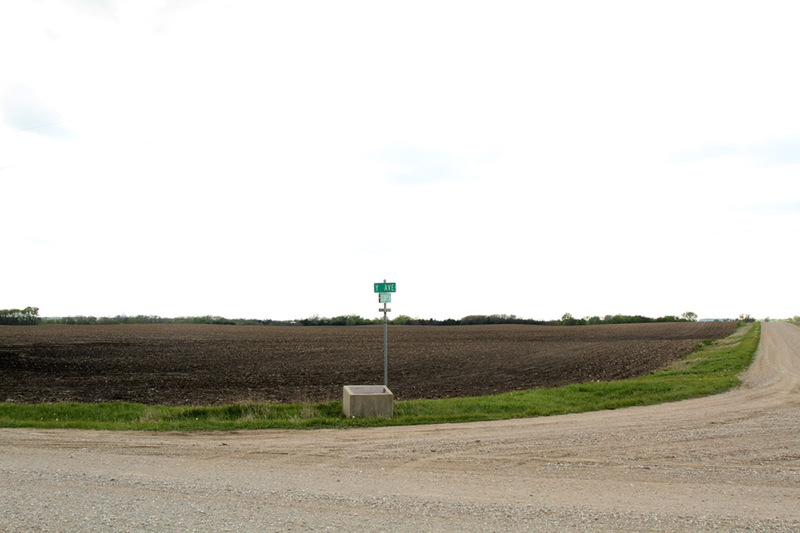 This field is a few miles NW of Perry, Iowa. Years ago, part of the coal mining town of Angus was here. This entry was posted on April 21, 2012 at 11:56 am and is filed under Iowa. You can follow any responses to this entry through the RSS 2.0 feed. You can skip to the end and leave a response. Pinging is currently not allowed. Very intersting, Clara. And well written. Am looking forward to Part III. So much that seems so “distant” from my experience. Italian immigrants in the 1880s. That would maybe be when my/our great-grandparents were young marrieds. I wonder what contact they had with mining/mining info. Madrid. I think the only time I was in Madrid was for a high school track meet. I know of at least a few people on that team who will never forget that 220 grass track! A bustling town of 3,500 . . . now nowhere in sight. I’m all too familiar with small towns getting smaller but not so much with Iowa towns becoming nonexistent. Aha! I see I overlooked the Arrow photo. Going there next. 1923. Grandpa would have been 34. Bompa, 36. Mother, 4. Daddy, 5. So interesting. 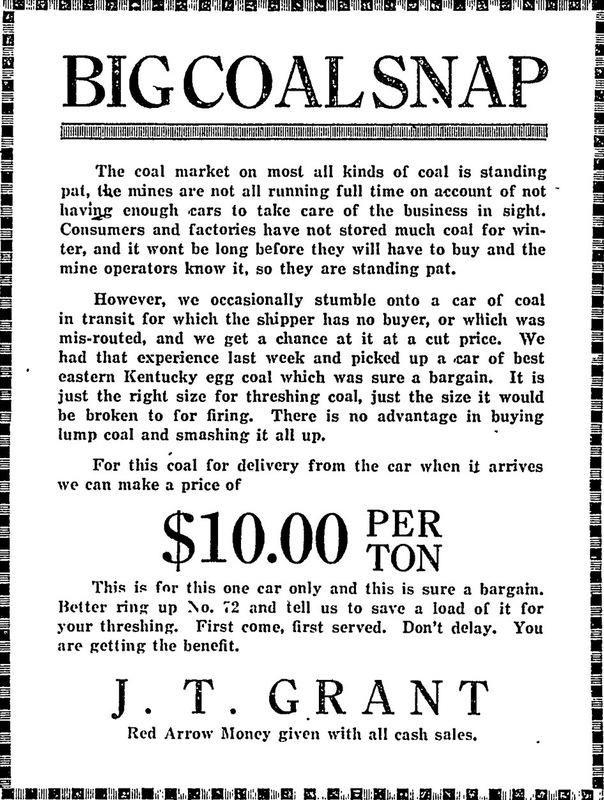 $10/ton. Wow. Call up No. 72!!! You must have had fun delving into this, Clara!